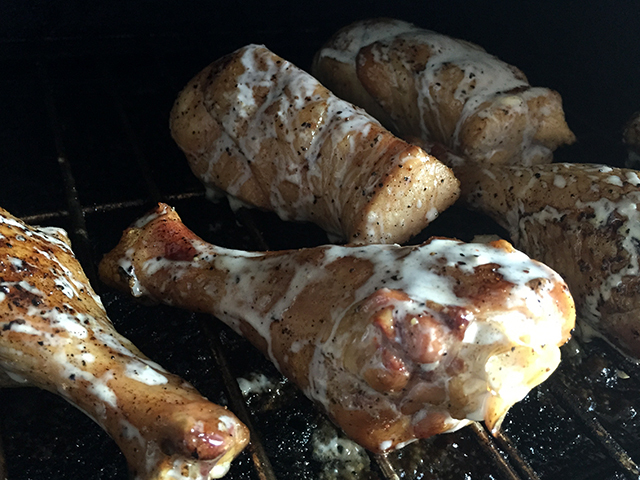 We’re taking a page from of the famous Pitmaster Chris Lilly and making some white sauce chicken on the GMG. Big Bob Gibson is the creator of the infamous white sauce and is a world renowned BBQ restaurant in Decatur Alabama. 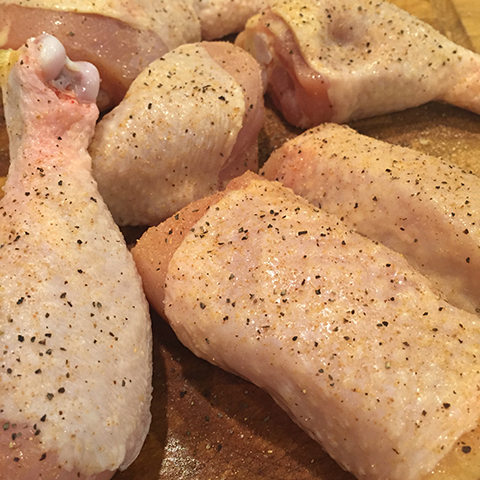 This recipe is very easy and it’s a great way to doctor up your normal chicken. Enjoy! 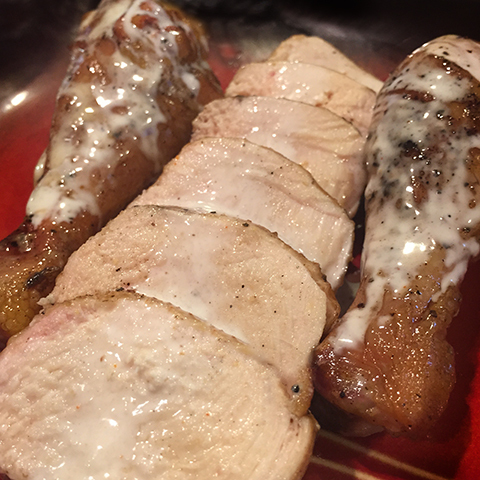 Start by seasoning your chicken with GMG sizzle rub or your own favorite BBQ rub, we did something a little different and trimmed down chicken breast and stuffed them in drumstick skin (as pictured). Then turn your grill to 35o degrees and cook until the internal temperature hits 185f dark meat (thighs and legs) and 165f white meat. This should take about 1 hour, less for the breast meat. After the chicken is done turn your grill down to 200 and brush with your white sauce mix and continue to cook for 10 min applying a second coat after 5 min. If you have any question on this recipe or any other post please leave them in the comments below.